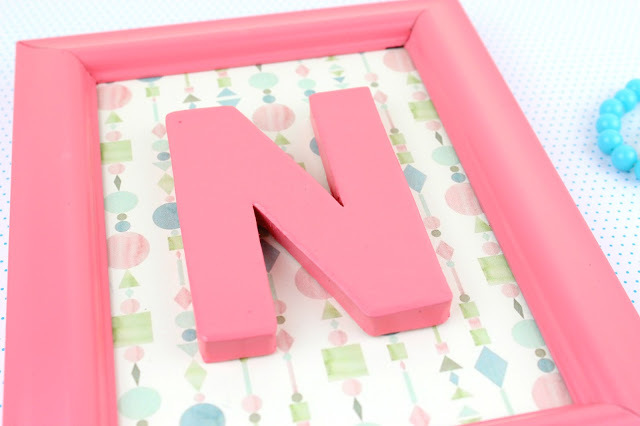 Handmade Monogram Frames for Nursesy Decor! Beautiful handmade gift idea! I am huge fan of handamde, I think you have already understood that. Why? Because handmade hides the dreams and the fantasy of the creator. He puts all of his effort and love he has and this is the main ingredient to create something unique and beautiful. Beautiful not only in his eyes, but beautiful for everyone that loves handmade. 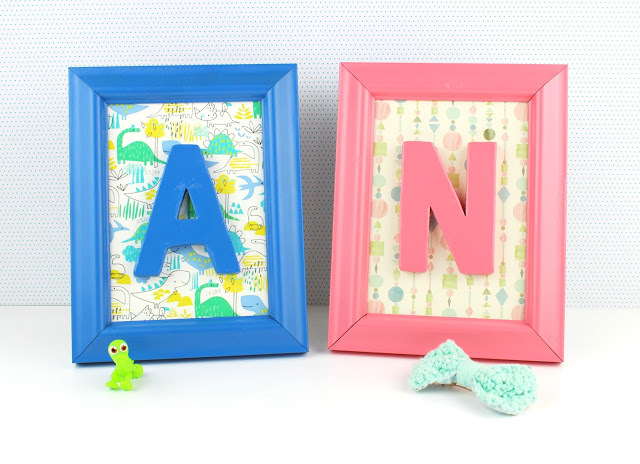 And these Wooden Personalized Frames are exactly what i have described… full of love and fantasy! Since my princess and my prince sharing the same room, the main problem I had with the decoration was what colors to use! So the only solution I came up and I really like, is to have 3 main colors in the kid’s bedroom but of course this does not mean that the rest colors are forbiden. Bright pink , bright green and turquoise are the main and most favorite colors, but there are also details in yellow and orange and purple. In fact, the nursery room is an explusion of colors and we love it, because everytime you just walk in, the mood changes! And this room is just perfect to have fun with kids and laugh a lot! When I saw these wooden frames I was just falled in love with them! Such a cleaver idea and so beautiful at the same time, totally personalized. 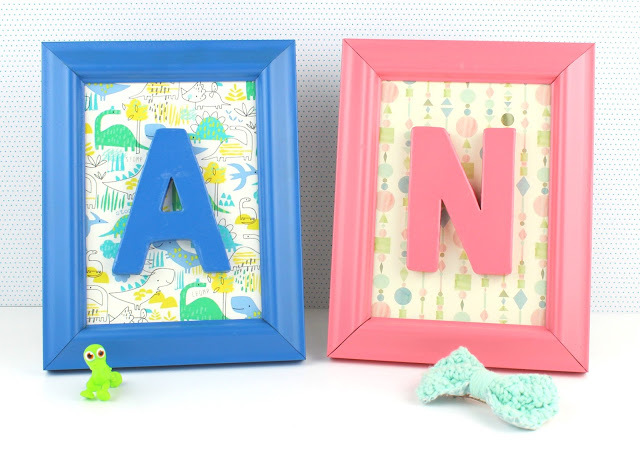 Pink, turquoise and green for my princess and in blue for my prince with his favorite dinosaurs of course! 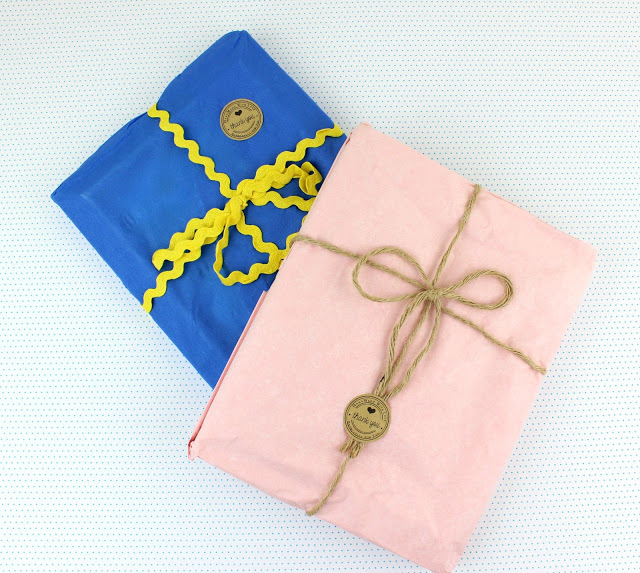 The wrapping was just simple and gorgeous and the frames are even better. You will love them, I am pretty sure. And the lady behind them? 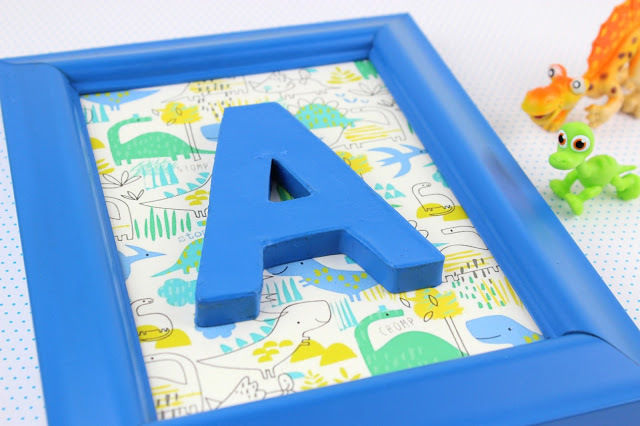 Maria from shabby Mommy took this simple idea and make it such a gorgeous creation. 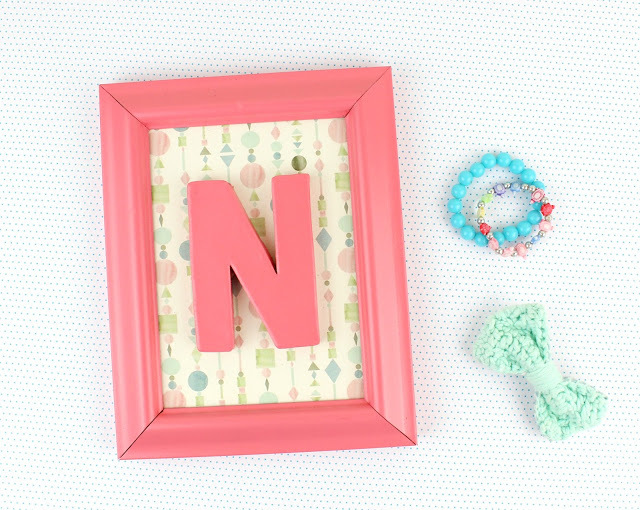 Because she can create for you a frame totally personalized, not only because of the letter, but because of the color and the pattern of the background. All of them are creating a beautiful creation for your decor. I really enjoyed this cooperation, since Maria is a very polite lady and always tries her best to create something unique for you. 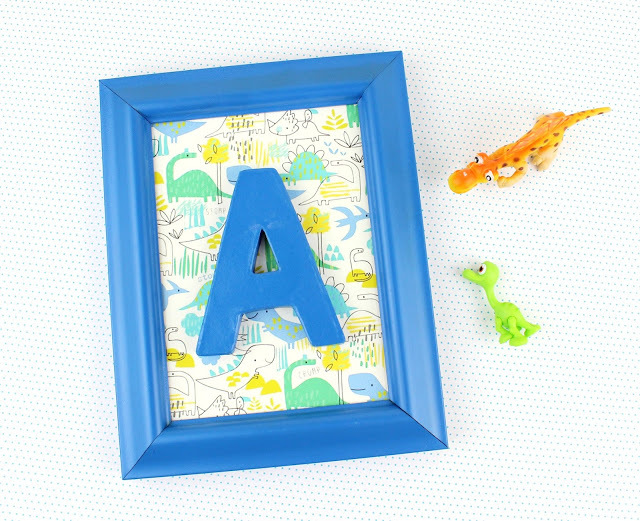 We are thrilled about our frames and already requested to create a couple more for our friends! Actually isn’t this a beautiful gift idea for birthday and baptism? Just spend a few minutes to admire Maria’s creations and you will love them as I did! Really what is your favorite???? Because, I cannot decide…. Ούτε εγώ μπορώ να αποφασίσω Ζινάκι!Υπέροχα και τα 2! Ειναι οντως υπεροχα. τοσο ομορφα μεσα στην απλοτητα τους. Μπραβο Μαρια. παω να δω και τις υπόλοιπες δημιουργίες της. Δεν νομίζω να αποφασίσει κάποιος αν του αρέσει η μία περισσότερο απο την άλλη.Είναι τόσο ωραίες και οι δύο.! Τα λατρεψαμε Μαρακι, οπως και κάθε δημιουργία σου! Ευχαριστουμε πολυ! Ωραία ιδέα και πολύ όμορφα τα έκανε η Μαρία!!! Σίγουρα διακοσμούν πολύ ωραία το δωμάτιο!! Και η συσκευασία προσεγμένη,παίζει ρόλο κι αυτό!! Φιλιά!! Πανέμορφες οι δημιουργίες της Μαρίας και οι συνδυασμοί υπέροχοι και στα 2! Και εγω τους λατρευω! Μοιαζουμε!!! Είναι υπέροχα! Η Μαρία φτιάχνει ξεχωριστά και ιδιαίτερα καδράκια για το κάθε παιδί!